Save When You Stay with Us this Winter! 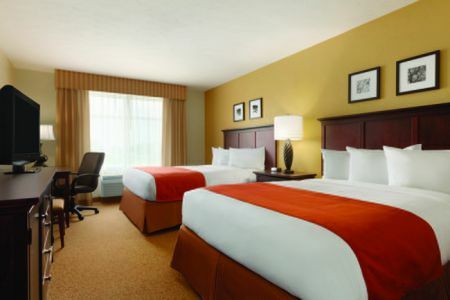 Just 20 minutes from the University of Tennessee, the Country Inn & Suites® by Radisson, Knoxville at Cedar Bluff, TN is an ideal spot for Vols fans to seek rest and relaxation after an exciting athletic event. Additionally, our location off I-40 and near downtown Knoxville businesses allows for easy travel for corporate guests. 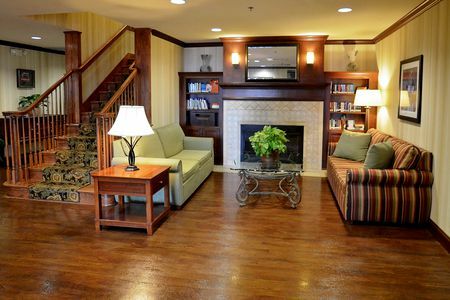 Hotel amenities like free high-speed Internet access and our Read It & Return Lending LibrarySM provide entertainment after a day of shopping at West Town Mall or exploring the Knoxville Museum of Art. An indoor pool and hot tub are great places to unwind or let the kids play. Even finicky eaters can find something satisfying at our free, hot breakfast, featuring items that change daily. Opt for energy-packed choices like waffles, eggs and bacon, or choose lighter fare like cereal and fresh fruit. For lunch or dinner, the hotel is near several restaurants, including local favorites like Peerless and Calhoun’s and well-known eateries like Cracker Barrel, Carrabba’s and Bonefish Grill. West Town Mall – Find a gift for that special someone at this mall, home to more than 150 stores, including 40 that are Knoxville exclusive. When you need a break, slip away for a movie at the theater, or grab a bite to eat at the food court. University of Tennessee – Travel less than 20 minutes to cheer for the Vols on the team’s home turf at Neyland Stadium or Thompson-Boling Arena. UT invites you to enjoy more than just sporting events. Visit the campus for special happenings like the UT Farmers Market and art exhibitions at the UT Downtown Gallery. Knoxville Museum of Art – From contemporary pieces to 3-D works, the KMA displays permanent and traveling exhibitions. Don’t miss the miniature dollhouses in the Thorne Rooms or the unique glass sculptures in the main gallery. The museum is about 11 miles away. Host your next business or social gathering with us at the Country Inn & Suites in Cedar Bluff. Our meeting room accommodates up to 40 guests, and we offer helpful amenities like catering recommendations and free high-speed Internet access to make your event go smoothly. 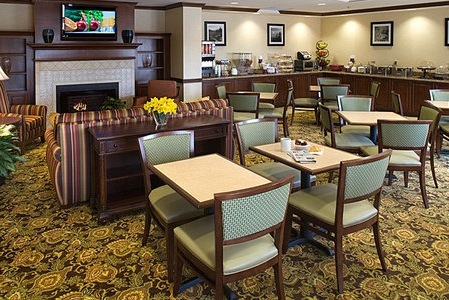 If business requires you to stay in town awhile, enjoy our affordable extended-stay rates.